On these treks one is not required to trek for more than 5/6 hrs a day. Also the terrain is not too difficult. These treks are normally a week or so long. 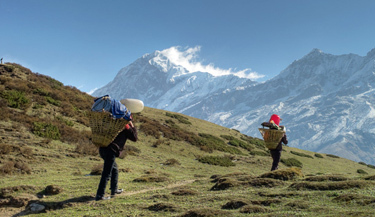 For these treks prior trekking experience is not necessary. Very rarely on these treks would one camp at altitudes higher than 3800m. These treks are great for first timers or for veterans wanting to go on a trail which is relatively less demanding. The North Eastern region of India offers numerous adventurous and remarkable trails that attract a lot of travelers across the globe. 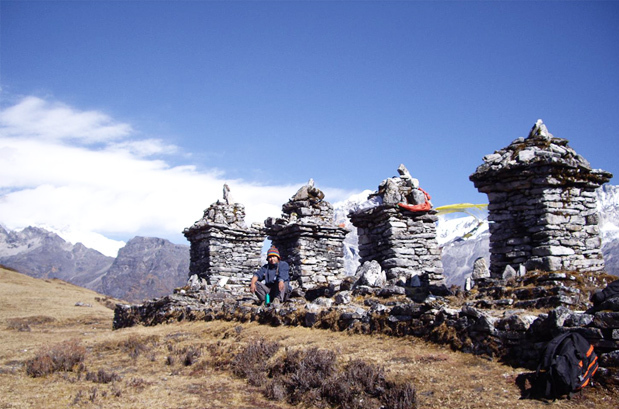 Yuksom-Dzongri Trek is a short, high altitude and one of the most interesting trekking routes in Sikkim. 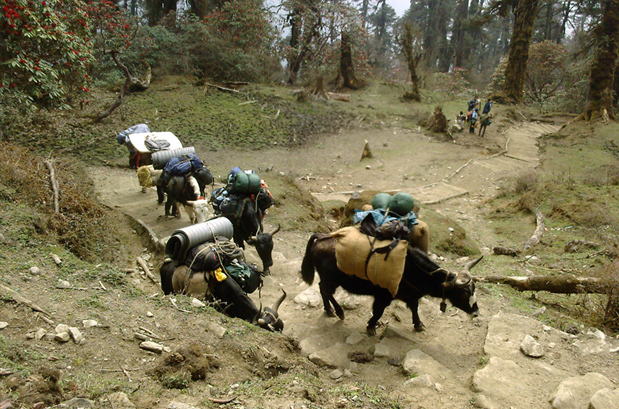 Dzongri trek is the small trek option of the Goechala Trek. This remarkable trek begins from Yuksam and finishes at Yuksam in 5 days. For the trekkers who want to explore more in a short duration the Dzongri trek is the most apt option. Trekkers on this wonderful trek get to explore and see the mesmerizing exquisiteness of scenic landscapes during trekking. 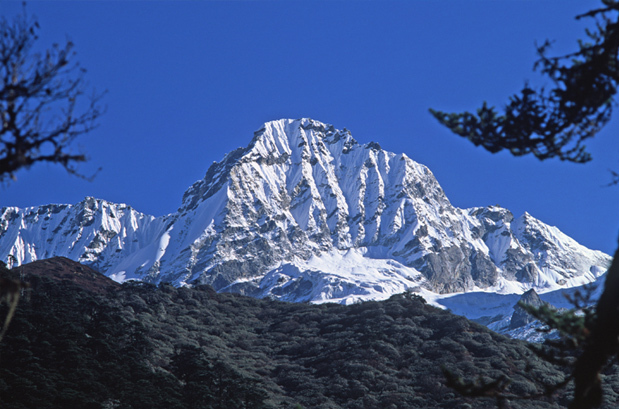 In actual fact, Dzongri and Dzongri La (view point) is the paramount spot to get a view of the spectacular mountains and its towering peaks in the Sikkim Himalayas. Along with the impressive Mt. 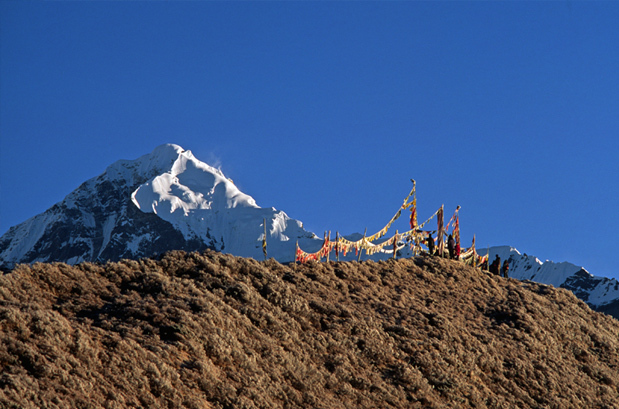 Kangchendzonga (8585 meters), the 3rd highest mountain in the world, you can also discover some of the most famous peaks during this trek from the Dzongri View Points like Mt. Kabru south (7317 meters), Mt. Kabru north (7338 meters), Mt. Simvo (6811 meters), Mt. Pandim (6691 meters) Mt. Kabru Forked (6108 meters), Mt. Rathong (6679 meters), Mt. Kumbhakarna (Janoo) (7710 meters), Mt. Kokthang (6147 meters), Mt. Goecha Peak (5127 meters) and Mt. Frey Peak (5830 meters). Yuksom :The was initially stated as the first capital of the Sikkim sate and nested in picturesque backdrop, it is the base camp for a trekking to Kanchenjunga Goechala, and many other Mountain Expedition. Dubdi monastery the oldest monastery in Sikkim is situated in Yuksam. . There are various places that you can visit in Yuksam. 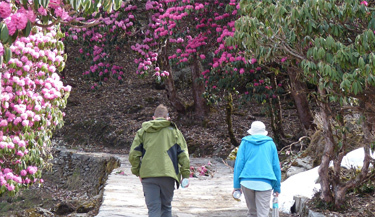 One day of rest and acclimatization in Yuksam before the start of the trek is an ideal option. The Coronation Throne, where the first king of Sikkim was crowned is still intact and conserved in Yuksam. Before starting the trek one day to some rest and acclimatization in Yuksam is an ideal option. Tshoka : Tshoka is the first trekking destination from Yuksam, it is a little Refuge settlement that is located at the high altitude of about (3000 meters). From Tshoka you can see a sight soaring snow covered peaks Mt. Pandim and a few others. Dzongri Viewpoint : The a stunning and ultimate site from where you can get 360 degree spectacular panoramic views of the snow capped towering mountain peaks and hills. Dzongri View point is located at the altitude of 4250 meters on the top of the hill and offers awe-inspiring and mesmerizing backdrop of the great Himalayan Range. 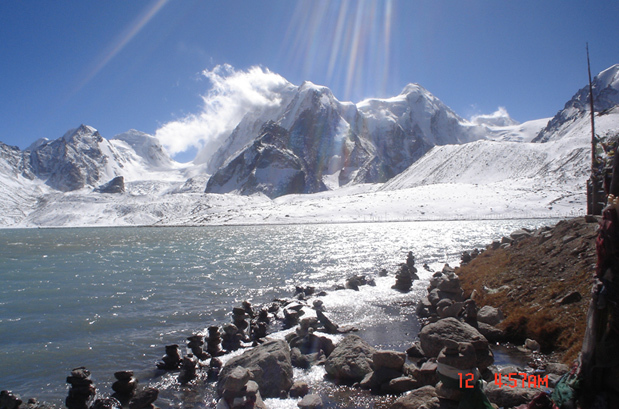 Laxmi Pokhari (Lake) : This holy and pristine lake situated at the altitude of 4200 meters on the route of Goechala. On a bright sunny day the view of the lake with Mt. Tenchingkhang and Mt. Pandim and on the backdrop is incredibly astonishing. 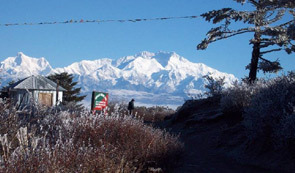 Best time to trek Dzongri Trek: The best season for trekking in this region is the summer between mid of March till June mid. After that, another right time is in the autumn during mid September till November. If you want to go for trekking in this region then you must not go trekking during monsoon season, i.e. between (end June to mid of September) as the path of the trail becomes slippery and muddy. Also during this season landslides and loose rocks are quite common and as a result the approaching roads get blocked. Winter: In the winter season, particularly in the month of January and February it is impossible to trek in this region. As during this period, it snows really very heavily after Dzongri and from here the trails become unapproachable and weather quite foul. Also during this time you will not be able find any guides. In winters the temperature in this region can fall below -20 degree Celsius. Occasionally some expeditions take place in the winter, but they are managed and guided with knowledgeable and experienced mountaineering guides. However it is seen that most of the expeditions that are commenced during this odd and extreme weather conditions fails. Summer: In the summer between (May to June) the usual temperature of the day varies between (15°C - 25°C), and in the night temperature ranges from (8°C to 15°C). At Dzongri during this season the daytime temperature varies between (7°C - 15°C) and at the night varies between (3°C to -2°C). Autumn: In autumn between (Mid September to end October) the ordinary temperature of the day varies between (13°C - 20°C), and in the night temperature goes between (2°C - 7°C). At Dzongri during this season the daytime temperature varies between (3°C - 10°C) and at the night it is between (3°C to -4°C). Snow: The trail ahead of the first view point at Goechala remains under snow till early April. However, by the month June, this part of the trail turns out to be completely accessible. However, on the higher altitude you can still find snow in some part even in September and October. Where is the Dzongri Trek ? 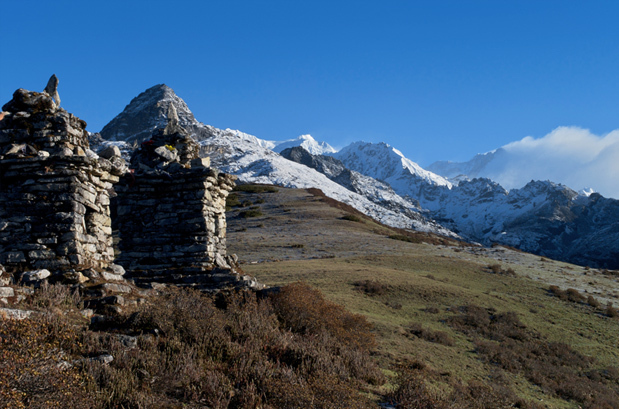 Dzongri Trek is considered as one of the most excellent trekking destinations in the North-Eastern area in India. Nestled in the fabulous Himalayas, this destination offers many spectacular and charming views of the nature's exquisiteness. 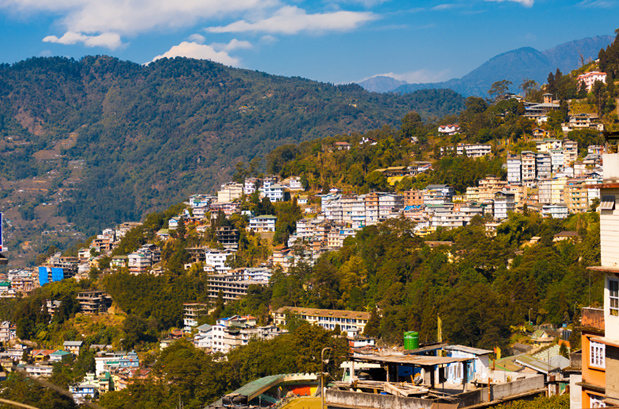 Sikkim is best destinations for the travelers across the globe as it has a lot to offer from the panoramic views of the unparalleled Kanchanjunga range, monasteries, ancient temples and many other things. This place is the hidden gem in the north-eastern region; trekkers on this adventurous and interesting trek to get introduced to the captivating splendor of picturesque backdrops and exotic wildlife. The Yuksom to Dzongri trek in Sikkim is for sure is one of the most interesting trek of which you will definitely want to be a part of. It is a trekking excursion that will bring you close to the nature and during the whole journey you can explore the virgin peaks, the pictorial landscapes and towering mountains. The trek is usually called as the 'Walking in Paradise' and undeniable it will be right to say that this trekking destination is a certainly a traveler's delight. How to Reach Dzongri Trek ? By Taxi or Jeep: Reach here the destination in around 5 hours from New Jalpaiguri/Bagdogra via private or shared jeeps. Bus service is not available to Yuksom, there are taxis accessible to Yuksom from Gangtok, Tashiding, Pelling and Gyalshing. Shared Jeeps are usually not available after 1 PM. By Train : The nearest rail head is New Jalpaiguri (NJP) which is about 150 kilometers away from Yuksom. From New Jalpaiguri NJP, you can easily book a taxi to reach Yuksom. You must leave NJP by 11 AM as it will take approx. 6 to 7 long hours to reach at Yuksom through Jorethang. It is not wise and advisable to travel at night as the road that head toward Yuksom is inadequately lit. By plane : Bagdogra is the nearest airport; it is about 12 kilometers towards the west of Siliguri and about 135 kilometers from Yuksom. In the morning our guide will receive you from NJP Train Station/Bagdogra airport and drive and then you will be driven to Yuksom. On the way at Meli take inner line permit (ILP) if someone don't have it. 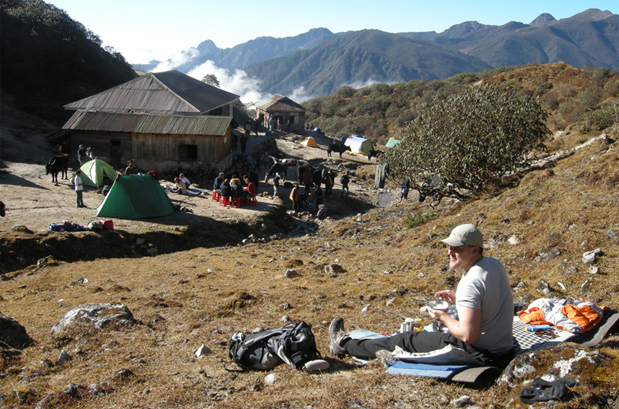 This place is the major campsite of our trek. On your arrival at Yuksom dinner & overnight stay arranged in the guesthouse. On this day, trekking in Yuksam begins at the market of this locality and follows the main road in the direction of the North. Gradually, the trek comes out of the gorge and reach near the River Ratong Chu's right bank. Troop then follow the trail, crossing over 4 overpasses to ascend steeply towards the North-West direction at Bakkhim, a small settlement. The trail will continue to move forward for another three kilometers passing through dense forest of rhododendron and magnolia to reach at Tsokha. Once we reach at this place, we can sit for dinner at campsite. We will also stay here for the night. On the day third, the trek moves forward and reaches Tsokha, a village and then continues to ascend in the north direction, pasting through a verdant rhododendron forest, reaching to Phedang (3650 meters) it takes around 3 hours to complete the steep incline. We will continue further in the direction of Dzongri. After reaching Dzongri set a camp site for dinner & overnight stay. On the day fourth, we will indulge in some rest and relaxation as this day is meant for acclimatization. On this day you can enjoy the spectacular sights of the towering mountain summits by hiking upwards to the Dzongri Top. From this spot you get an incredible panoramic view of various peaks like, Pandim (6691 meters), Kabru (7353 meters), Kanchenjunga (8534 meters), Narsingh (5825 meters), Koktang (6147 meters) and Ratong (6678 meters), and towards the western side you can see the magnificent Singalila Ridge. This ridge separates Nepal from Sikkim. Arrangements made at the camp site for the dinner and night stay in the tents. On this day we will start to move forward toward Tshoka. Arrangements made at the camp site for the dinner and night stay in the tents. Today is the last day of our trek. Today we will go back over steps in the direction of Yuksam. The trek is easy as the path is mostly downhill. We will stop here for a night stay at the guest house. After having breakfast we will drive forward towards Bagdogra/NJP. When to book Dzongri Trek ? The bookings need to make 2 months in advance, so that you get enough time before to do preparation for the excursion. Who will carry my backpack? During the trail there will be Dzo/ porter/ pony that will carry the backpacks and equipments; you only need to carry your small day bag pack while on trek. 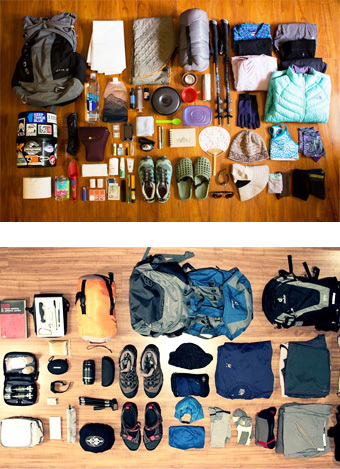 What will be the weight of the backpack? Once confirm you bookings with us, we will provide you an illustrated list of the things you need to carry and the maximum weight of the baggage you take along, but not be more that 12 KG. For the Dzongri Trek the pickup and drop spot is the NJP Railway station or from Bagdogra Airport. Our guide will pick up you from the NJP Train station or from Bagdogra Airport and take you to the trekking location. How we run the trek? We have a team of experienced and professional guides who have acquainted with the several trekking routes and lead the trek guiding you in the spectacular trail. Our troop size usually for trekking is maximum 18 persons and minimum 2 people on the trek with the mix of women and men. What is minimum age required for Dzongri Trek ? Dzongri trek is an easy and moderate trek with a maximum altitude of about 13780 feet (4200 meters) the minimum age required for this trek is 10 years. What will be the minimum temperature during Dzongri Trek ? The temperature usually depends on the time of the year you prefer for trekking. During the trek in the month of September to November and March to June the temperature can go low at 10 Degrees Celsius during the night, in the month of December to March the temperature reaches in minus. How long we trek during Dzongri Trek ? We design and plan our treks in a defined manner, so that after trekking for 6 hours we reach the next camp site around lunch time. Usually distance of the trek we cover is 10 - 12 kilometers. If we get into such a situation where we have to extend the trek because then in that case extra charges may apply for the food and stay at the hotel. Can I take the Diamox? Diamox is a helpful medication for the people to reduce the high altitude sickness, but it is sensible for you to consult the doctor prior taking it. Is it safe for girls to go on a trek? Safety is prime importance for us, and we lead our groups and do give it to the third party to manage. It's safe for even a single girl trekker to join our fixed departures. What kind of shoes will be required? For trekking in the Himalayan region you need to have trekking shoes with excellent ankle support which is a must make sure you get a durable and lightweight footwear. You can opt for Quechua that provides with the best mountain hiking. What kind of food is served during the trek? During the trek you will be served with nutritious and delicious vegetarian food. Our cooks are well trained and we also treat our trekkers with the local flavors of the region, Pakora, etc. Is it safe to drink water from the stream? Which vehicle do we use for transportations? The majority of the roads in the Himalayan region that heads to the trek starting point are in bad shape therefore the vehicle with high ground clearance are used and advisable. We mainly use Scorpio, Tata Sumo, Mahindra Bolero, Tempo Traveler Max, or similar kind for the transportation. Are your fixed departures dates are fixed? 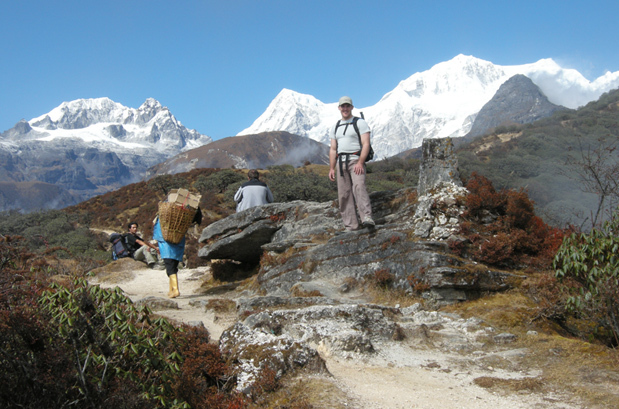 We are punctual with our trekking program and move ahead as per schedule. We will begin the trek on that particular date as fixed even if there is only one trekker. How do you deal with an emergency situation? Our trek leaders and guides are certified mountaineers who have years of experience and have knowledge of first aid in the backwoods and they always carry essential first aid medical kit with them. They assess your physical condition at each camp so as to ascertain about your fitness level and can take required action. All the additional expenditure will be borne by the trekker in case of the rescue. How to book the trek? If you wish to go for a trek, then you need to register with us and we will mail you the comprehensive details about the booking procedure for easy and trouble free bookings.